Cataracts are the leading cause of visual loss in adults age 55 and older and the leading cause of blindness worldwide. By age 65, about half of the human population has a cataract, and by age 75, almost everyone has a cataract. However, cataracts are highly treatable, and through advances in both cataract surgery and (IOLs), more people are experiencing full restoration of their vision than ever before. Phacoemulsification In phacoemulsification, your surgeon removes the cataract but leaves most of the back layer of the lens (lens capsule) in place. To do this, your surgeon makes a small incision — about 2.2 millimeters (mm), long — where the cornea meets the conjunctiva and inserts a needle-thin probe. Your surgeon then uses the probe, which transmits ultrasound waves, to break up (emulsify) the cataract and suction out the fragments. The lens capsule remains in place to provide support for the lens implant. Once the cataract has been removed by either phacoemulsification or extracapsular extraction, a clear artificial lens is implanted into the empty lens capsule. 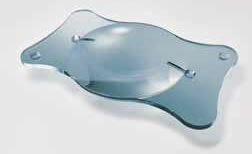 This implant, known as an intraocular lens (IOL), is made of acrylic . You won't be able to see or feel the lens; it requires no care and becomes a permanent part of your eye. Recent advances in IOLs include blue-blocking lenses, which filter out ultraviolet light. Other types of IOLs provide multifocal vision — being able to see things both near and at a distance. Multifocal lenses offer reasonably good near and distance vision. Latest technology offers multifocal IOLs with even correction of astigmatism. You'll typically see your eye surgent the day after your surgery.The following week and then again after a month to monitor healing you should be seen by your eyedoctor back home to monitor healing. Your risk of complications is greater if you have another eye disease or a serious medical condition affecting any part of your body. Occasionally, cataract surgery fails to improve vision because of underlying eye damage from conditions such as glaucoma or macular degeneration. It's important to evaluate and treat such eye problems, if possible, before making the decision to proceed with cataract surgery. On the day of your surgery, your doctor performs a painless laser test to measure the size and shape of your eye. This helps determine the proper power of the lens implant. Your doctor may advise you to temporarily stop taking any medication that could increase your risk of bleeding during the procedure. Antibiotic eyedrops may be prescribed for use one or two days before the surgery. You may be instructed not to eat or drink anything 12 hours before the procedure. Online customer service: If you didn´t get answer for your question on our website please draw your questions by filling the following fields. Your questions will be answered as soon as possible by our medical staff.